Whether your move from Vancouver is home or business-related, you deserve the most quality moving service from start-to-finish. 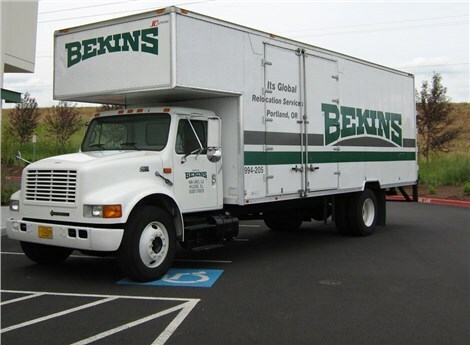 The Vancouver movers at ITS Global Relocation Services, agent of Bekins Van Lines have been moving the Portland area for 93 years. As a result of our dedication to total customer satisfaction, ITS Global has earned BBB-accreditation and ProMover status in the American Moving & Storage Association (AMSA). We’re committed to easing your journey from move planning until after we unpack your final box. The household movers at ITS Global Relocation Services can move your furniture, appliances, and electronics anywhere in the country or the world. Our Portland commercial moving can relocate small offices, major corporations, trade shows, on-premise services and much more. We also specialize in school and university moves. 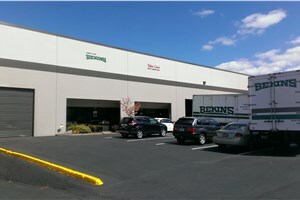 Whatever your requirements are, the experts at ITS Global and Bekins will meet and exceed them. Please read on to learn more about our specialized services! Residential Movers: Our full-service packing and custom crating will make your household move simple and stress-free. Local Movers: When you’re looking for reliable local movers in Vancouver, WA, look no further than ITS Global Relocation. Long Distance Movers: Planning and executing a long distance move is something best left to the professionals. Commercial Movers: The office movers at ITS Global can move and reassemble your electronics and modular furniture. International Movers: Moving around the world has never been simpler than with ITS Global Relocation Services and Bekins Van Lines. Household Movers: If you’re looking for reliable household movers serving Vancouver, WA, you will be glad to discover ITS Global Relocation Services. Office Movers: If you’ve been searching for Vancouver office moving companies to no avail, the full-service movers at Irvington Transfer & Storage (ITS) Global Relocation Services have the experience and expertise to seamlessly move your business, regardless of the size or complexity of your relocation. Storage Company: When moving your home or business, circumstances may require that your need to find a place to securely store your belongings for a period of time. Storage: Our secure 20,000 square-foot facility is equipped to accommodate any household or business order. Specialized Movers: We can move bulky dryers and other items alike with no problems. Don’t delay any longer – contact ITS Global today to begin your easiest move in Portland yet! Call now to speak with a friendly representative or fill out our online quote form to receive a free estimate.